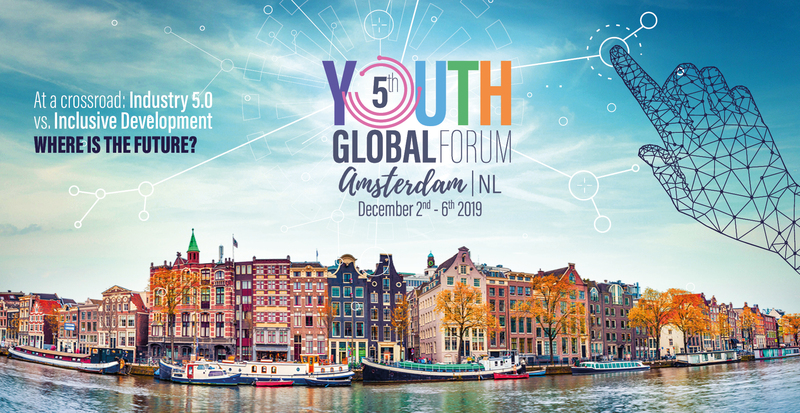 The Youth Time International Movement is officially inviting journalists and young media enthusiasts to apply for the Youth Global Forum, which will take place from 2nd to 6th of December in Amsterdam, Netherland. Deadline to apply is April 15th. We give a chance to young journalists and bloggers from all over the world to take part in the forum and hone their reporting skills. On the conference they can dive deep into professional working environment of an international event and create writeups from various planery sessions, workshops and master-clasess, interview prominent guests, high-profile experts and peer social entrpreneurs, as well as benifit from the great networking opportunities offered by Youth Time events. Media content of any kind can be created afterwords, from social media posts, text and video blogs to in-depth articles for professional media outlets. The most important selection criteria for media representatives is verified and well-developed source for publication. Fully and partially funded reporting fellowships will be offered for media people to take part in the event. Fully funded fellowships will cover: travel to and from Amsterdam, accommodation, meals, program including informal activities and transportation during the event. Partially funded fellowships will not include reimbursement for travel to Amsterdam. Selection for the fellowships will be based on the professional qualifications, relevant experience such as demonstrated interest in the topic of the forum and level of input in promotion of application call for participants before the event. In case of questions, please forward them to magazine@youth-time.org.